Remote Team Management: The Definitive Guide to Building a Remote Team. 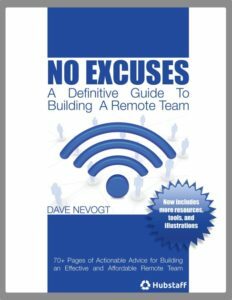 Thank you for checking out our guide on remote team management. Begin reading by selecting any section from the table of contents below, or continue to Part 1. Enjoy! What Tasks Can Be Outsourced?